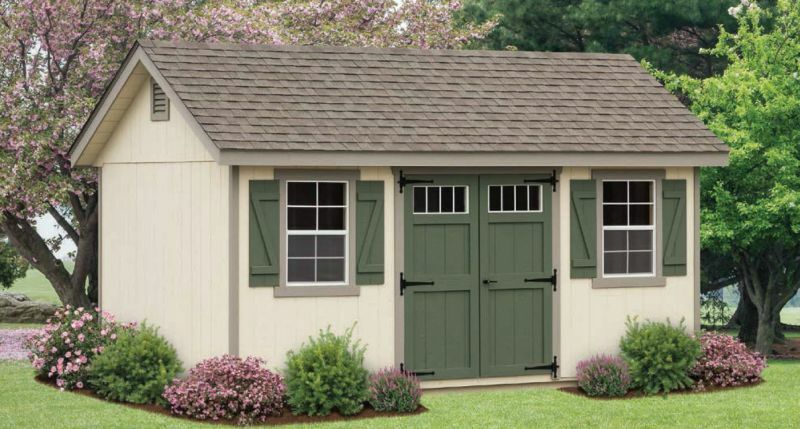 At Space Makers Sheds you’ll find a large selection of in-stock sheds and gazebos — in a variety of sizes and styles — ready for immediate delivery from our sales lot. See our blog post "Preparing for Your New Shed" to get important information on preparing for delivery of your new structure. A long-lasting shed or garage is only as good as its foundation. If you're not replacing an existing structure, you might need a new foundation poured before we deliver your shed. We've partnered with Bed Rock Foundations & Excavating in Bear, DE because we know and trust them to do good work for our customers. If you're not sure which company to choose for your foundation, we'd encourage you to check them out. Call them at 302-545-7067. Our special system lets us place your shed exactly where you want it. Whether you choose one of our in-stock models or a custom structure, a professional driver from Space Makers Sheds will deliver your new shed or gazebo anywhere in the continental United States. We can help you get the proper permits, set up your new structure for you, and even remove your old shed for you. Our delivery trailer is specifically built to transport our sheds. And our truck is equipped with a "Mule" — a specially designed system that allows us to place your new shed exactly where you want it, even in the tightest spaces. Then all you’ll have to do is enjoy your functional and beautiful new shed for years to come. Visit us to browse in-stock inventory and see the quality and beauty of Space Makers sheds up close. We’ll help you to picture one of these handsome, durable structures in your backyard, and we’ll make it easy for you to select just the right one for your needs and personal taste.